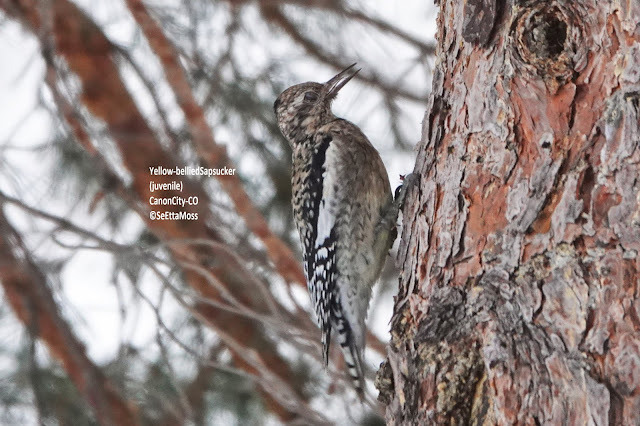 I found this Yellow-bellied Sapsucker, my first of the season for this species, today in Canon City. 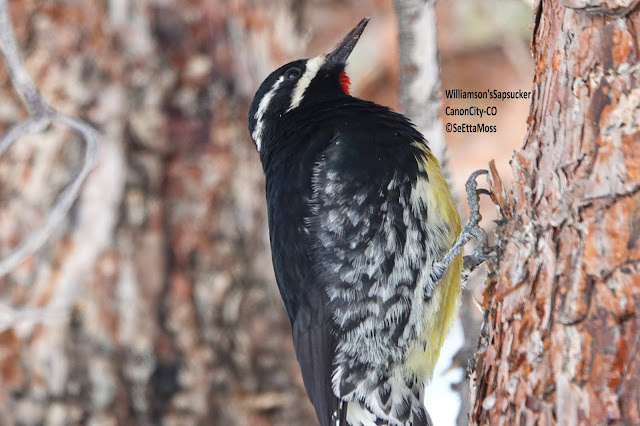 While we usually have several Williamson's Sapsuckers for the fall/early winter season, we usually get at least one Yellow-bellied Sapsucker and in most years a Red-naped Sapsucker. 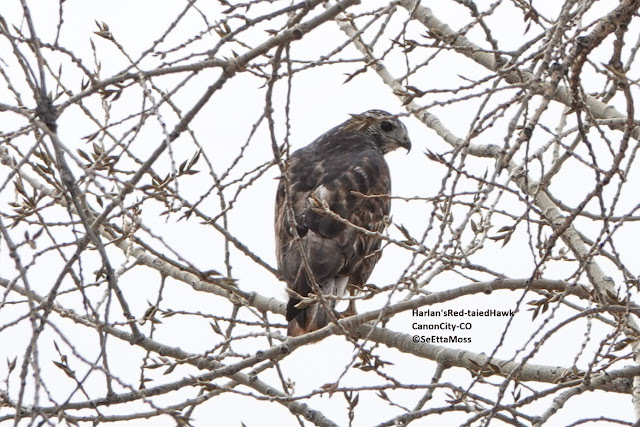 (note click on 'Read More' below to see the other photos of this hawk) I spotted this Harlan's Red-tailed Hawk today not far from the Arkansas River above a field right in town. 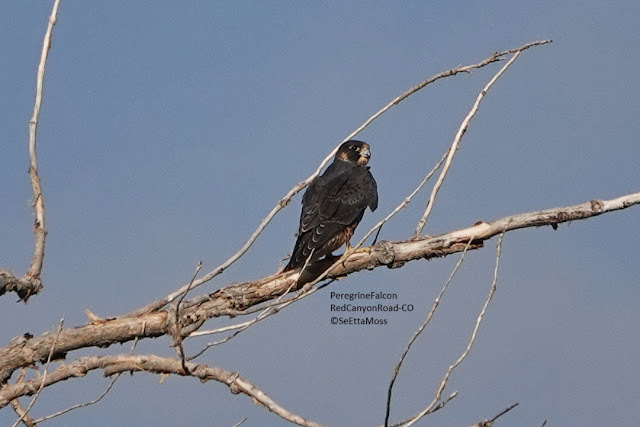 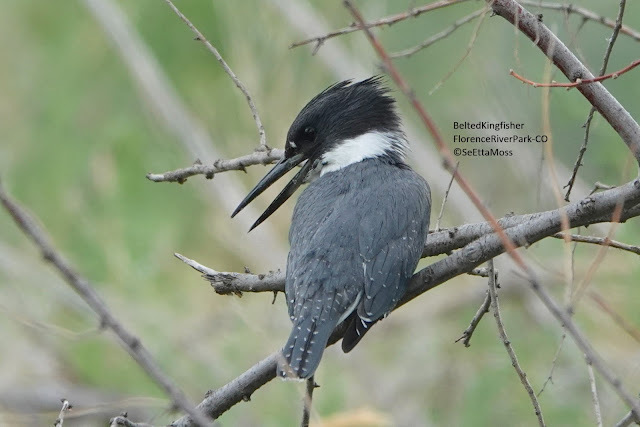 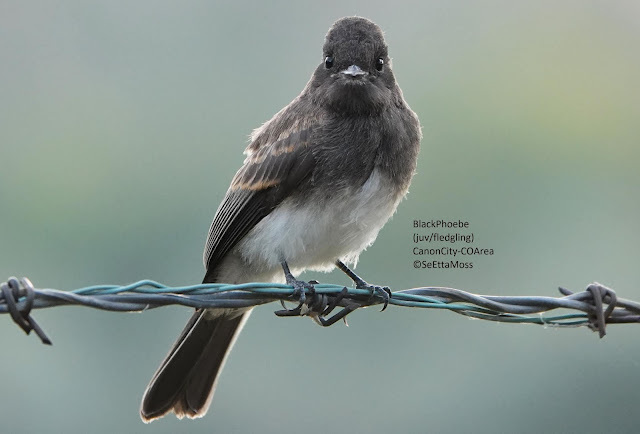 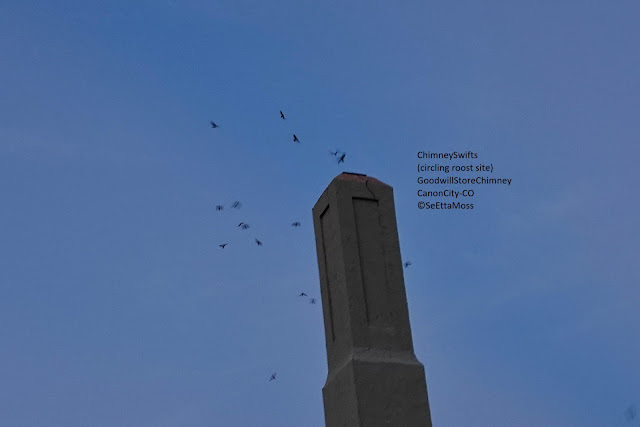 It was 150-200 feet away so had to crop severely to get these pics. 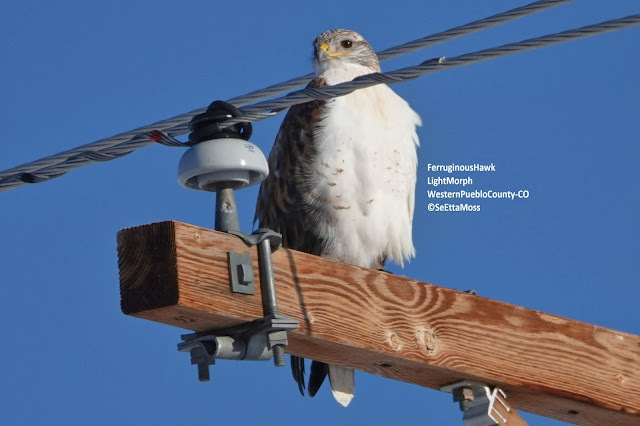 The significant amount of white on this hawk's face, the white on it's breast and mottling on tail are field marks for this northern sub species of Red-tailed Hawk. 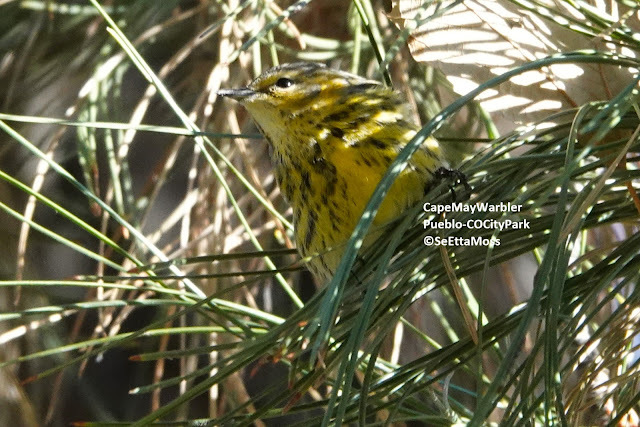 Cape May Warbler in Pueblo,Colorado from SeEtta Moss on Vimeo. 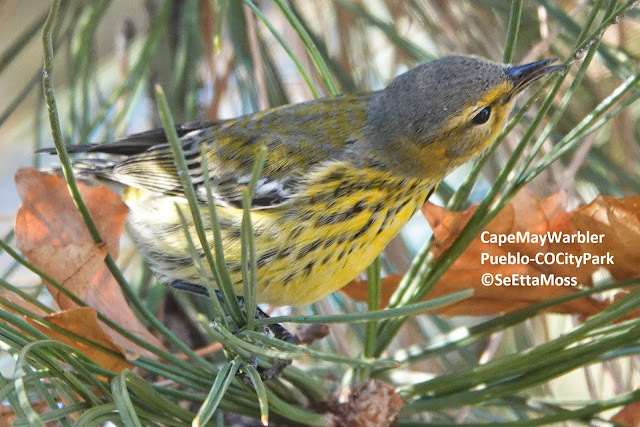 This very rare eastern Cape May Warbler was found by Brandon Percival and Van Truan 2 days ago in Pueblo City Park. 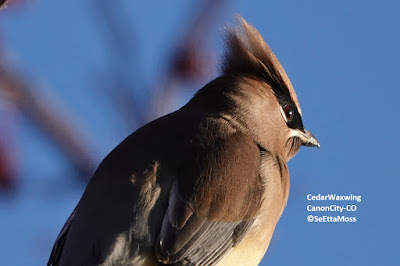 I ran into Brandon yesterday there and we looked for it for about 45 minutes before it showed itself in one of pine trees near the administration building.